COLUMBIA — Back-and-forth winter temperatures have been known to cause headaches, but especially for drivers this year. Potholes are scattered all over mid-Missouri's roadways, caused by the freezing and thawing of water on the pavement. "Potholes are really ugly, they're like a reverse of a speed bump," said one Columbia motorist, Dannie Weddle. "I haven't had any throw me off the road or anything like that, but I've blown a tire a couple of times." Columbia MoDOT maintenance crews were out fixing several potholes along Stadium Blvd. Wednesday afternoon. But, Weddle said he thinks the road conditions are a bigger issue. "If they'd repair them right the first time, they wouldn't keep eating out," Weddle said. Another motorist, Steven Hermann, agreed. "I'd say the integrity of the roads are probably a bigger part of the issue," Hermann said. "You probably need to replace the roads, not the potholes." Hermann said he hopes the city and state come up with a way to fix the issue long-term. "Hopefully we've got a comprehensive plan that would go beyond just filling a hole in. Let's figure out how to not keep filling those holes in, and take a longer stance to keep the roads good and keep people happy," said Hermann. MoDOT Columbia Assistant Supervisor Melanie Blacklock, said this is unavoidable and potholes are inevitable. "It is a patch is what it is. It isn't an overlay. It's just a temporary patch to make the road ride smoother to prevent any damage and prevent further moisture from seeping into the base of the roadway," Blacklock said. Blacklock said potholes have been a little challenging to attend to as crews have focused on the icy road conditions recently. But, she said MoDOT crews try to attend to them about every day. "If we get a lot of phone calls on one, we'll try and address it right away. We try and do something within 24 hours," Blacklock. 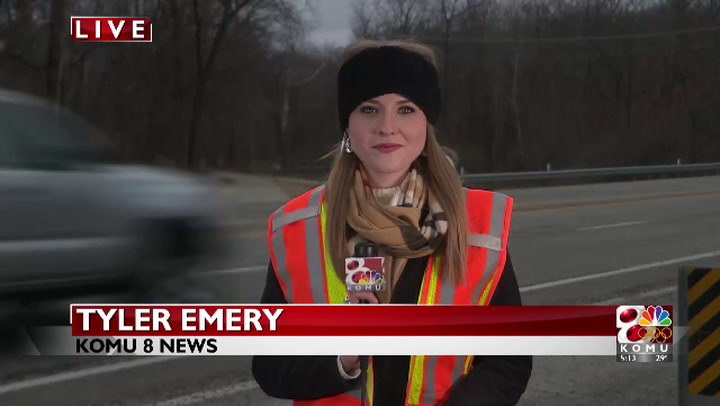 She recommends drivers slow down and use caution when they see potholes, or increase your following distance so you can see farther down the road. If you would like to report a pothole for fixing, you can visit MoDOT's website, or call customer service at 1-888-275-6636. You can also fill out a form alerting Columbia Public Works.